PVC sewer pipes are intended for the installation of sewage systems, drainage and water supply. The popularity of plastic is due to the large number of its positive properties. 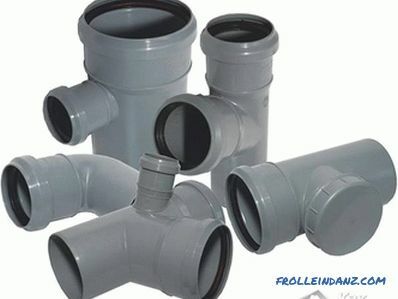 Before choosing PVC sewer pipes, it is important to get acquainted with their technical characteristics, advantages and disadvantages, as well as the strength criterion. PVC pipes are highly resistant to various both alkaline and acid corrosive environments. 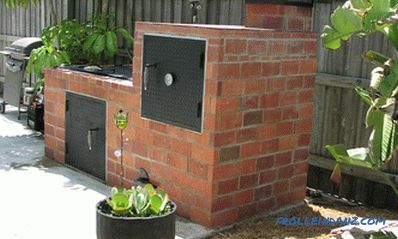 This property allows to use them for installation of the sewerage. 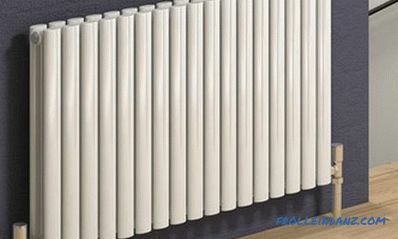 Specifications include a high melting point of 120 ° C, but plastic pipes are not recommended for production. In living conditions, experts do not advise to exceed the temperature of the drained liquids above 70 degrees, so you should be careful when draining boiling water into the sewer from PVC pipes. When considering the strength indicators, it is worth noting quite high coefficient, but at the same time PVC is referred to as brittle materials that are afraid of mechanical damage. You should not try to bend the pipes, as they can be damaged in a year or two after operation. When using PVC pipes for installation of sewerage under the road, it is necessary to use a box made of brick or reinforced concrete. The hardness of the plastic determines the only significant drawback of PVC pipes - noise during use. 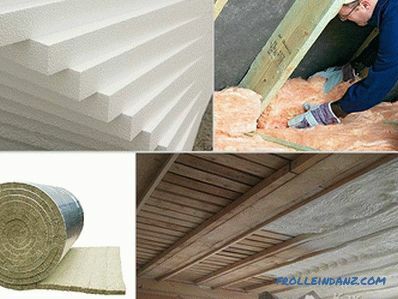 This can annoy households, but noise can be avoided by making noise insulation pipes. 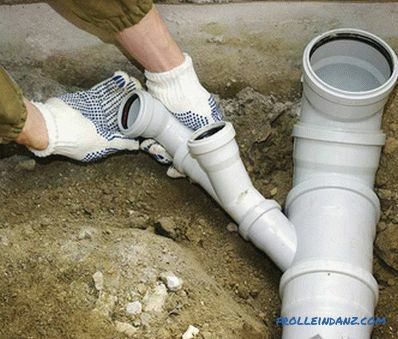 When installing a sewage system made of plastic pipes, there is no need to use the services of specialists, since all the processes are fairly simple and do not require special knowledge. All components of the system (pipes, fittings, transitions) are light in weight, so there will be no difficulties during transportation. If the installation work will be carried out independently, then it is necessary to choose the correct size of PVC pipes: diameter, length, wall thickness. Modern manufacturers of PVC pipes indicate when marking the outer diameter . 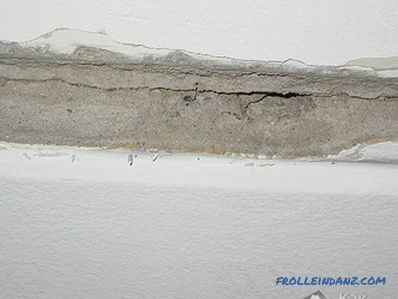 If necessary, calculate the internal diameter should do so: from the indicator of the outer diameter to take away the thickness of the walls (it is also indicated in the marking). It is the inside diameter that plays an important role when installing a sewer or drainage system from technology. 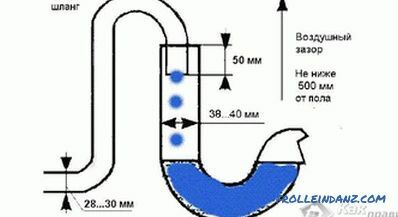 For example, when arranging a drain for a dishwasher, pipes with an internal diameter of 25 mm are sufficient; for bathtubs, shower cabins, sinks and wash basins - 32 mm, for wiring the system throughout the house (apartment) - 50 mm. If the sewage system is organized outside the building, then it is necessary to give preference to pipes with the largest diameter. The thickness of the walls directly depends on the diameter - the larger it is, the thicker less, and, therefore, the weight will also be small. 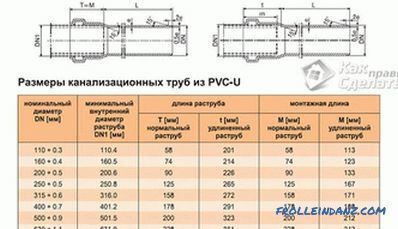 According to GOST, plastic pipes can be of different lengths - from 1 to 6 m (1 m step). This will allow buyers to choose the required pipe size. During the purchase of PVC pipes, you should pay attention to the presence of GOST, labeling, evaluation of indicators after testing. Original packaging must also be present. Another important criterion that must be considered when choosing plastic pipes for organizing sewage and drainage of sewage is the class of hardness. Thus, each type of pipe is designed to perform a specific type of work in certain conditions. 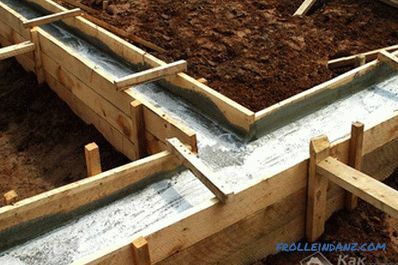 To install the drainage system inside the house, you can use pipes with a lower indicator of strength, and only the most durable pipes are used outside. To make it easier for consumers to choose PVC pipes, manufacturers use different colors. Internal sewage is painted gray, and external - brown and orange. When laying external sewerage, the load is also taken into account, for example, for private territory is suitable class SN2, if you have a car - SN4, if it is an industrial object or road - SN8.